After a significant break from doing a real monthly income report, I've decided to give it another shot. I've done sporadic general business updates, but I'm now ready to get more consistent with sharing what's working in my business. And the big change (that I've never done before), is I'm adding the income generated from NichePursuits.com! I've never shared the income derived directly from this site, but hopefully a few of you will find that interesting. I hope seeing the inner workings of my business a little bit more, including the income from the various activities that I'm involved, will be motivating in some way. I hope these monthly income reports are a win-win. I get a chance to reflect on my business and plan how I can do better the next month. You get a chance to analyze what's working in my business and get some takeaways that you can use to increase the income in your own business (hopefully). I fully hope to make these income reports a monthly thing. Oh and I figured I better take a selfie every month right before I hit publish on these reports so you can watch me getting older. This should be fun! Exclusive Picture for the Income Report! Showing signs of age? As you read the income reports below, you will notice that I've broken them down by “Brand”. In the last 6 months or so, I've started viewing my business this way…as a collection of brands that I'm trying to grow. So, rather than just lump all the Amazon Associates earnings I make from all of my websites into one line item, I'm breaking the earnings out on a site by site basis. This will give a more realistic picture of what brands are working well, and which ones I need to put more effort into. Some of the brands also sell products via Amazon FBA. For these brands, I have a website that I use to send traffic to my Amazon listings. These sites also make affiliate sales or generate Google Adsense earnings. As a result, I don't break out how much I make on Amazon FBA overall…but I categorize the earnings by brand + website. I also have dedicated brand managers working on growing some of these brands, so I truly do view them as standalone businesses…rather than just a bunch of niche sites. For example, Niche Pursuits is its own brand and I act as the full-time brand manager. I have a home goods brand that has its own full-time brand manager, etc. So, with that brief explanation, here's the income report! For the amount of traffic and size of my email list, I make very little on NichePursuits.com. To be honest, I have never focused very hard on making much from affiliate commissions. 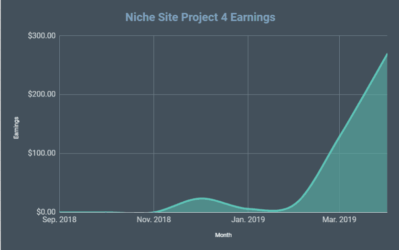 As a result, I believe that I can significantly increase the earnings on NichePursuits.com. In my mind, I've focused more on case studies and tutorials that eventually helped me build a highly successful software company (Long Tail Pro). Now, that I've sold Long Tail Pro, I'm going to take a look at Niche Pursuits with fresh eyes and see how I can turn it into a higher earning brand without sacrificing the quality. As you can see from the income above, I made a significant amount from promoting the Authority Hacker Authority Site System in January. I only sent out 1 email and never even mentioned it on NichePursuits.com…not bad. So, the income dropped significantly in February primarily due to the fact that I made a bunch of one-time sales for this course in January, but did no promotions in February. Overall, I have some plans in the works to increase the income overall…and I'll definitely share what's working next month. Also, please be aware that generally speaking, NichePursuits.com is a small portion of my overall income. Most of the revenue generated in my business is from the actual products and brands that I own outside of the internet marketing space. So, I'm in the trenches with you guys building real businesses…not just talking about it! My home goods brand is where I started my Amazon FBA journey. I'm very happy with the way it's turned out! As you can see, most of the income is derived from the top 3 sellers, while several other products we've tried have just kind of fallen flat. This often seems to be the case. But overall, it's a very profitable venture. We use our niche website to generate lots of free SEO traffic and then drive a portion of that traffic to our Amazon listings. This helps us generate more sales, which in turn helps us rank better on Amazon. Because some of the articles on our site review products or target keywords outside of the products we sell, we also monetize the site with Amazon Associates and Google Adsense. This is sort of “bonus” income. Our real concern is selling our own products. For this brand, I just hired a part time brand manager in January…and he will be starting full-time very soon! I'm excited to have Jason on board, and I'm sure I'll have a chance to introduce him more officially to the Niche Pursuits audience down the road. January tends to be the biggest month after November and December, so a drop in February is to be expected. (Plus it's a shorter month). We are also going through a complete rebrand of our products. So, we've changed the domain name and did a 301. This caused our traffic to go down, but it's on its way back up and Google is catching up to everything. March is off to a good start already, and so I fully expect this home goods brand to move back in the right direction. Jungle Scout – We constantly are using this to see how much potential profit we could make with new product ideas. Jump Send – Ever since the incentivized review changes late last year, I've avoided doing any sort of special promotions. However, now that the dust has settled, we started a promotion/discount for a few of our products using Jump Send (where we do NOT ask for reviews). So far, I've been very impressed with how easy Jump Send is to use, and how effective it's been in generating discounted sales. This is a site that I started several years ago; however, not until recently did we start selling physical products in this space. “Amazon Product 1” is actually one we have been selling for several months, but it went of stock in January…but finally started selling again. The other 3 products are brand new and show a loss because we only sold a few at a discount. This is a brand that Jake helps manage (along with several other responsibilities he has). Jake has been focused on hiring and managing writers/editors to beef up the site, and he has also started to do some more link building. We have started to use Ninja Outreach quite a bit to prospect and find link building opportunities. Jake has had some great results using the software so far. My plan is that when this brand (or any brand) does $2,500 in gross profit for 3 months in a row, I will hire a part time brand manager. I think this site has a lot of potential to be the next brand I hire for. I hope so! Going forward, we will continue to do some additional promotions for existing products to help them sell a bit better. However, we also have a couple of brand new products in the works that are being manufactured right now. The potential is very good that once we launch these 2 new physical products that this brand will start to take off and need a dedicated manager. There's just no way I could manage all these brands myself. Although this brand doesn't seem significant right now in terms of earnings, it's one that I'm VERY excited about. This is a brand that I purchased about a year ago off the Empire Flippers Marketplace. The physical product associated with this brand is super high quality. In the past year, we have had ZERO returns. That's unheard of for an ecommerce business. People love this product. However, because Jake and I have been so busy working on other brands and projects…this one has been somewhat neglected. I do believe this brand is going to turn around quickly though. In January, I took a risk and hired a part-time brand manager…a musician that actually understands this space and happens to be good at internet marketing. He's already implemented some great changes, and I really do think that the next 6 months will be quite good for this brand. The “Shopify Sales” on the chart above refer to our own eCommerce store. We took down the store in February to try seeing what would happen if we sent all our traffic to Amazon. The end result was not good! So, we are in the process of revamping our site and will focus on building a real brand with the majority of sales taking place on our own eCommerce site moving forward. I have several other products that sell on Amazon that are in just about every category imaginable. If I see a good idea or want to test something out, I just launch it. I don't worry if I have an existing brand that it fits under. So, for all these “misfit” products that don't fit under any of the previous brands, I call my “Incubator”. Jake manages all these incubator products and we try to get them to a point where it makes sense to build out a branded site and start pushing a bit harder. As you can see, the incubator brings in $2,500 a month or so, which I'll take all day long for just some things we are testing out. 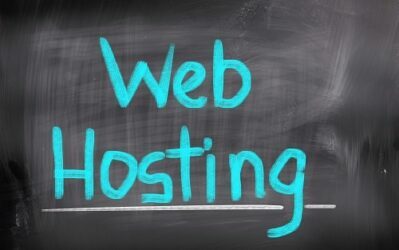 Small niche sites making less than $500/month. I still have several niche sites from the “good ol' days” or a few that just haven't taken off yet that are not mentioned above. So, for any sites that make less than $500 a month, I don't plan on doing any sort of detailed reporting. If a site starts making more than $500 a month, I'll add it to the official income report. Long Tail Pro Ownership. I still own a portion of the Long Tail Pro business and receive quarterly distributions based on net profits. (The Long Tail Pro income listed above is only for my affiliate commissions from Niche Pursuits, not the total income I make from Long Tail Pro). Investment websites. I have invested in several other websites, some of which are quite valuable. For most of these I own anywhere from 5% to 33% of the business. However, they are all passive and managed completely by other people. Because there are other owners involved, I won't be disclosing the income from these sites. Jake FBA Business Partnership. I invested in an Amazon FBA brand that Jake runs personally. This business is doing well, but I am not comfortable disclosing income from this business, since I am just an investor. I do have one other project in the works that I am very excited about. However, it hasn't gone live and isn't making any money yet. However, I expect to share more about this “top secret” project in the next couple of months. 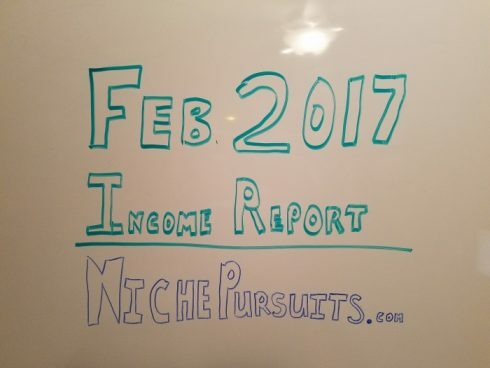 Overall, I've never shared the full income from NichePursuits.com, and it's kind of nerve wracking! And perhaps I picked a bad month to start showing income as it's down for a couple of my brands (including Niche Pursuits). But if I'm going to consistently share what's going on in my business, I have to share the good and the bad. I would love to hear your thoughts on my first income report in a long time. Do you find this interesting at all? I would love to hear your thoughts in the comments below. Love the detailed income report and it’s exciting to see that there’s still big potential in the FBA space! a really nice breakdown thanks for sharing! And Congrats for your FBA business working so well. I just sold my first units through FBA. As I’m also participating in the Partnernet of Amazon I thought about putting affiliate links to my own products on my niche websites. My question, is that allowed by Amazon or are any regulations or terms who permit that? Thanks in advance for sharing your insights on that one. Yes, its allowed by Amazon to use an affiliate link to your own products. Nice one Spencer, thanks for sharing. I love your income so much. Admire! Thanks Russell! I’ve never really focused on NP as a direct revenue source, but I plan to change that. Sometimes you are using direct link for LTP and sometimes affiliate link. Your sidebar LTP link is also not an affiliate link. That’s correct. When I sold the company, I agreed to leave some links on my site as non-affiliate links, while others are allowed. So, I could be earning much more as an affiliate for Long Tail Pro, but I’m under contract to leave some as non-affiliate links for now (but not forever). Loving these honest well written reports. Is january a low selling month? November December was huge for me and then january set the lowest records even though I had the same traffic? From what I’ve heard and from my own experience, January is usually the 3rd best month of the year. Thanks for the transparency Spencer. So, you don’t have any niche sites that make over $500 per month or did you omit them for the reports? Was curious to ask about if you felt any impact due to the new commission changes in Amazon. I turned my “niche sites” into full-brands. So, most of the brands you see started as small niche sites, but have grown to much larger businesses now. Test. Google adsense could be a good option, but just test different layouts and options. First of all, thank you so much for sharing. 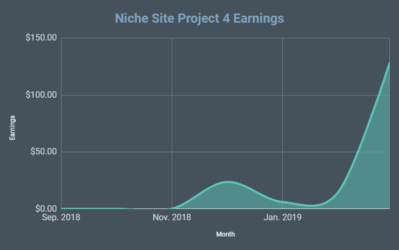 I may be just not understanding some of your categories, but I guess I’m a little surprised that you are not reporting any Amazon Affiliate earnings like the websites being created in the Niche Site 3.0 Project. I do see your category of less than $500 web sites that sound like similar web sites in the Niche Site 3.0 Project. But, I find it hard to believe that you don’t have a site or two that are earning numbers similar to what Perrin was putting up on A Penny Shaved before he got hit by the Google PBN update. I have to assume that means you are just finding selling your own Amazon products so much more profitable and possibly much less work? And, maybe you’ve sold all of your Amazon Affiliate web sites like this to focus more on selling your own products on Amazon? BTW, I don’t mean this question as a criticism (if I could make a tenth of what you list I would be doing backflips). I like many, find NP VERY helpful and inspirational. I have several web sites that are similar to A Penny Shaved and I’ve been working hard on them for a while now (with limited success; but, I am trying the Clair Smith method, so the success is relative). I know you’ve mentioned a lot of different business ventures over the years (honestly, I don’t know how you find time for all of them). I was kind of always assuming that you had some hidden Amazon Affiliate web sites that helped bank roll you while you built up your many other ventures. 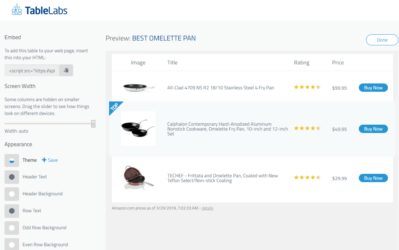 It seems it’s actually the Amazon products that may be doing the bank rolling and not any Amazon Affiliate sites. Thanks Jagger. If you look closely, you will actually see that 3 of my sites earned money from Amazon Associates (one site over $1500 in February). So, I definitely have some “niche sites”, but I’ve turned them into brands. 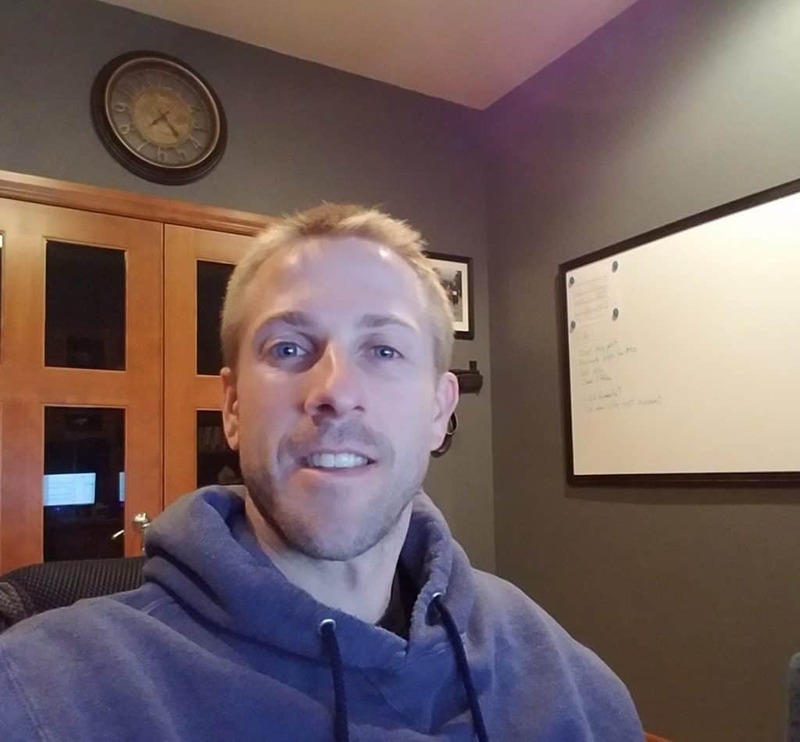 You can make much more money selling your own products than as an affiliate…so that is what I’ve focused on primarily over the last couple of years. I have sold some niche sites, and I am a partner is several sites (mentioned under “undisclosed income”) some of which are large affiliate sites. As far as what projects “bank roll” my other projects; Long Tail Pro was always the most profitable, so I focused a lot of my attention there over the past 5 years, and less so on smaller niche sites (although I continued to build just a few as you can see from the report). I see them now. I figured I just missed them. Thanks. Although, I guess I am a little surprised to not see more Affiliate income. I kind of think of you as the one person that has always given out the best advice in that area. Especially with all of the Niche Site Projects that have gone so well. So, I was expecting to see something closer to 6 figures a year. This makes me rethink some of the goals I have. I forgot about the previous post you had for LTP. I can definitely see how it was a primary “bank roll”. That post was fairly mind blowing for me seeing those financial charts. What this tells me is that I need to take another look at creating my own product(s). Is your Amazon FBA project the best source for “step by step” what to do in that space? Thanks again for sharing all of your high level financials. I’ve always felt that you’ve been as transparent as you can be for someone in this very competitive space. For me, it has always brought a level of trust to what you share. My Amazon FBA project is really just a collection of posts I’ve done related to FBA, not so much a step by step. 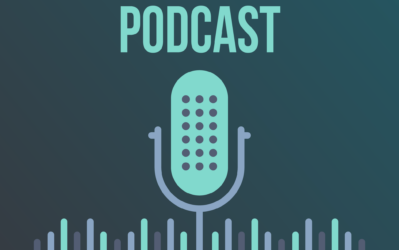 However, I believe everything you need is there, including a couple of great podcast interviews with other successful entrepreneurs. Spencer, i have been following you from the time you were earning 6 figures in adsense every year..
how come your adsense earnings are so low now? You used to promote strategy of $1 sites; what has come to that strategy? Not working or not worth your time anymore? I stopped building $1/day adsense sites probably over 5 years ago (2012) and have written about the fact that I’ve tried to focus on less sites that become larger quite extensively. So, if anyone is still trying that…correct, you should have stopped 5 years ago, not worth the effort. For your Amazon site, do you purchase and try out product before writing? If not, do you get someone else to do it? No I don’t purchase the products before writing about them. the report just confirmed amazon FBA is the way to go. thanks for sharing. looking forward to knowing what the secret project is. Thanks Andreea! I don’t know if its the “way to go” for everyone, but I’m having some nice success with it right now. It is fascinating to see how you have evolved from being a Niche website developer of income streams to being a brand builder of equity holdings (sellable business entities with clearly defined GP per brand). I DEFINITELY like how you summarized each “brand” (division) and spoke in GP (Gross Profit) which is how an investor would look at brand valuation (acquisition multiples) for each of your groups. It is as though you have evolved from a site developer to a “factory model” churning out GP Engines… branded, groups of products, with online funneling leads via niche sites, packaged and ready for sale to investors. Thanks Jim! Yes, there has been an evolution over the years. My team and I are doing our best to build real brands, some of which we will eventually sell to investors. Great post Spencer! So glad you’re doing income reports again. I’ve been following you since the beginning and it was your income reports (back in the day) that motivated me to learn Internet marketing in the first place. Glad you enjoy the income reports! Just stopped by to say cool and informative income report. Very detailed & transparent post. Thanks Dave…I’ll see what I can do! Thanks for giving us a peek behind the curtain. I’m curious about your Amazon FBA Incubator products. Are these existing products that you have improved in some way, existing products that you have just put your own label on or are they just existing products that you are testing the waters with? Most of them are existing products with private label. However, a few of them are products we’ve improved in some way. Thanks for this awesome look into what you have going on. My wife and I are currently doing the legwork of starting to do some FBA business. I was wondering if you’d be willing to share a general amount that you initially invest in your “Incubator” products? Of necessity we’re planning to start small (~$500 in initial product investment), but wondering what you consider too small to be worth trying or an amount that’s too big of a risk for something that’s un-tested? The amount invested depends on the products you try to develop. Depending on minimum order quantities, you might get away with only investing $500, but $2k to $3k might be required for other products. Thank you for all the years of continuous effort you have put in to show people how they can make amazing websites! Many thanks for creating this site, and keep moving forward! Thanks Tyler, great to hear that my blog has helped you out! You’ve inspired me. Thanks for sharing. Awesome!!! I know it’s tough to share those numbers, thank you!!! Very inspirational, thanks for sharing.As Jagger mentioned above, many of us will be doing backflips if we could make just a small percentage of what you managed in a month.Well done. Thanks so much for your detailed Income Report Spencer. It is a real inspiration to the rest of us. It amazes me how you have launched so many products. Have you done that all with just the Jungle Scout extension? We use both the extension and the online tool. However, it would be a stretch to say that all our ideas came from Jungle Scout. Its not unusual for us to come up with our own ideas as we just look at competitors, and then we might use Jungle scout to see how much money potential competitors are making. Income reports really motivates me , and see the potential of the online businesses. I am planning to build my health site , and thinking of private labeling a product later, or build an online shop around it once it is getting traffic. Of course it’s not that easy to get that much of money. Most niche sites get 0$, so are you ready to work for more than 5 years to learn everything? Otherwise DON’T EVEN TRY! Website seems like it’s easy, but it’s getting every year harder to reach top keyword positions simply because of professionals that’s why they can easily invest 10k€ or even more to additional optimize website. Just look at sport nutrtition or heatlh niche saturated, but it’s really evergreen niche for people who have allot of skill plus big team. Very brave for sharing your income report. I see it as an inspiration for me as I start and grow my own online empire (AGAIN) as I still have a long way to go. I do share my income report too and sometimes I get interesting comments from friends and family. Like the other day my sister said you say you made how much in January! Why don’t you Go get a job! I still use Longtail pro, which a very good product. Thank you for making posts like this. Seeing those numbers makes it way easier to stay motivated. I have been working with affiliate marketing and niche sites for around a year now. I have primarily been working with danish sites and are currently building a portfolio of websites, but I have chosen to also try out Amazon Associates after I found your blog. Thank you very much for your content – it is always very, very inspiring! In response to your question, an income report such as this is extremely valuable because it “grounds” the information your are providing. It proves that it is possible to make a decent part time, or even full time, income using your techniques. It provides details about how you are actually earning the income–how you are actually doing it. I find articles such as this much more valuable than “vague” articles that provide no real numbers on how much a person is actually earning from his or her efforts. Also, it is important to report profits, not just gross revenue. Gross revenue is a somewhat useless number. Who cares if someone brings in $20,000 a month if it cost them $19.500 to generate that revenue. Spencer, first, amazing post. I’ve always thought of niche pursuits as a bit on an authority site. I actually link to this site for a business course I teach online at a university. It’s because of posts like this to be honest. Second, very cool on the Amazon FBA income stream! Honestly, I know it’s always risky to put yourself out there but people really appreciate transparency. I think you are ahead of the game with diversity of income. I didn’t see it mentioned buy Amazon made HUGE changes to affiliate commission pay starting in March. I’m hoping you guys post on it. Will this change impact your future numbers (could be a positive thing).